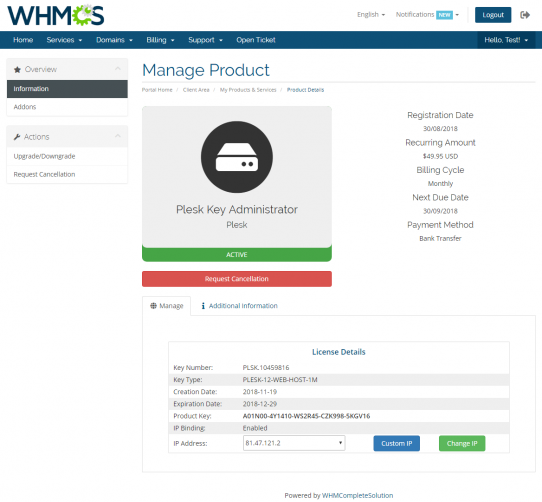 ModulesGarden Plesk Key Administrator For WHMCS will allow you to provision all kinds of Plesk licenses entirely via WHMCS. Your clients will be invited to choose from among the licenses of Plesk, Virtuozzo, CloudLinux and many other no less respected providers! Importantly, the module supports all Identifiers and Keytypes included in Key Administrator Partner API. You will be able to create any number of fully customizable licenses in the form of either products or product addons. The addons can be also alternatively configured so as to enable your clients to extend the currently owned licenses with additional features. At the same time, your customers will be free to upgrade and downgrade every purchased license, as well as alter its IP address whenever required. 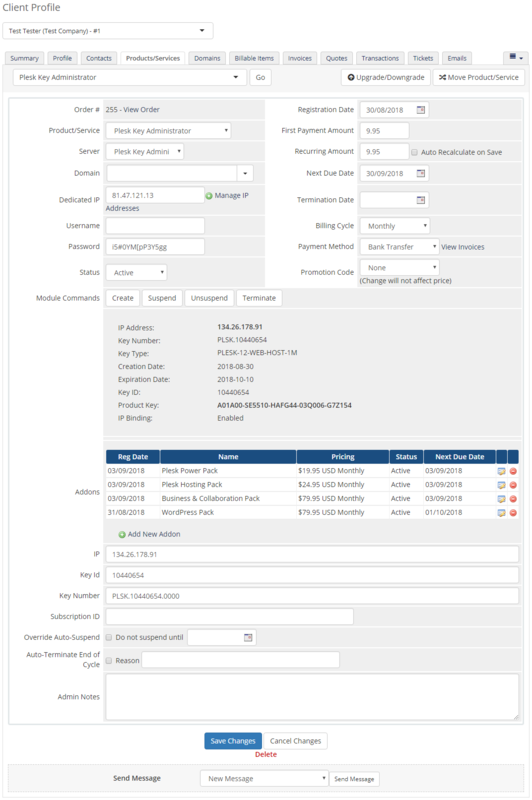 What is more, the module can be smoothly connected with Product Linker For WHMCS to let you sell products in as appealing bundles as e.g. 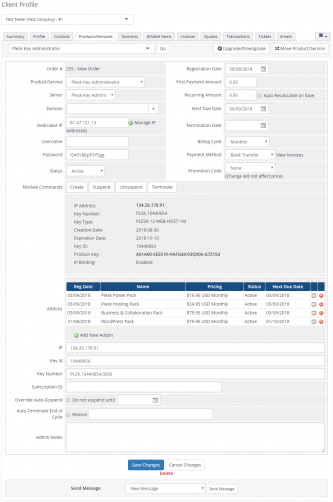 a VPS server with an active Plesk license. You are just a few clicks away from broadening your offer horizons and welcoming hordes of new clients at your business’s doorstep. Order Plesk Key Administrator For WHMCS straight away and hit the yet unknown peaks of efficient licenses reselling! I'll be making use of this module to auto-issue Plesk licenses on Virtuozzo VPS, thus using that module as well. Things went well during the 7 day trial!